JG Thirlwell will be playing solo live in an electro-acoustic performance along to a live projection of Ken Jacobs‘ Nervous Magic Lantern Performance in a benefit for the NY FilmMaker’s Co-op. Along with JG, the featured performers will be Laurie Anderson, John Zorn and the Aleph Trio performing with Wallace Berman’s film Aleph, Nomi Ruiz, Transgendered Jesus and Zero Times Everything, performing with rare experimental & avant-garde films from the Coop’s collection. Meanwhile, a silent art auction will be available all night, including work by artists Jonas Mekas, Carolee Schneemann, Tom Otterness, Ken Jacobs, Peggy Ahwesh, Hal Hartley, Coleen Fitzgibbon, Bradley Eros, Richard Sylvarnes, Bill Brand, Molly Surno & many others. 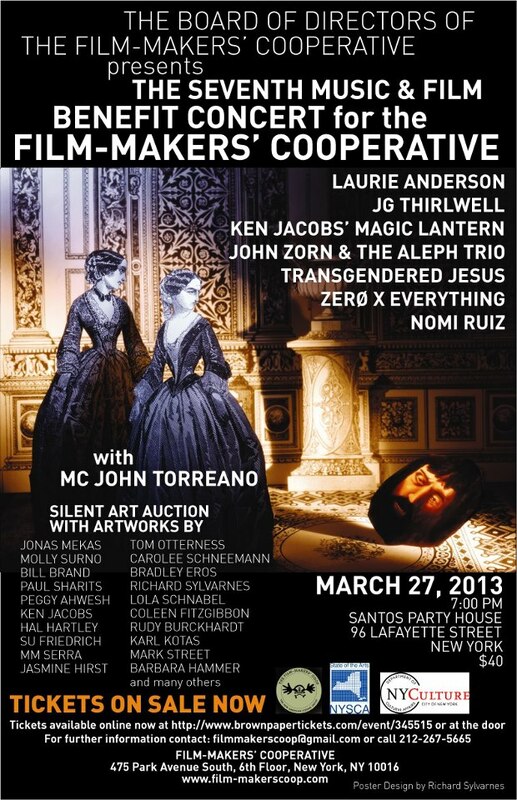 The event will take place on March 27 2013 at Santos Party House in New York City and tickets are available here.